Are the Philadelphia 76ers Even Trying? Last night, the Dallas Mavericks scored 73 first half points against the Philadelphia 76ers. The Sixers finished the game with 70 points. That's right, The Mavericks could have scored 0 second half points, and still won the game! Instead, they scored 50 more points and beat down Philly 123-70. It is the largest victory in team history. The 76ers were so bad last night, they missed 16 of their 33 free throw attempts! In his season debut, Michael Carter-Williams went 6-10 from the line, Nerlens Noel was 1-6, and Tony Wroten was just 3-6. I wouldn't worry too much about the return of MCW if you own Wroten (20.5 ppg), as he is the only other scoring threat on this team. No other Sixer was averaging 10 points per game. The Mavs continue to be great, behind Dirk Nowitzki (20.9 ppg) and Monta Ellis (17.1) who are shooting 55% and 48.5% respectively. Chandler Parsons and Tyson Chandler are filling in their roles nicely. 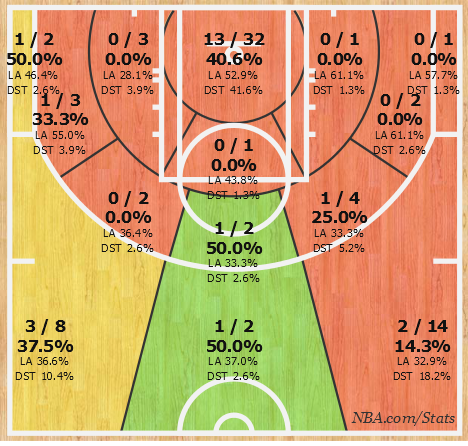 Jameer Nelson on the other hand is struggling mightily, shooting 33.8%. Devin Harris is due for an increase in minutes played, and should be a target of yours in fantasy basketball if available! The Memphis Grizzlies came back from a 26 point deficit to defeat the Sacramento Kings on Courtney Lee's game winning alley-oop buzzer-beater! Good news for the Kings and fantasy basketball owners, Ben McLemore has looked great over the last 4 games, scoring at least 15 points and shooting 50% or better. It's tough to score on a team that features DeMarcus Cousins and Rudy Gay on offense! Jarrett Jack was a perfect 10-10 (23pts) from the field in the loss to the Golden State Warriors. Derrick Rose hamstring is going to keep him listed DTD. He has now played in 5 of the Bulls 9 games.